Nissan had said that the design and the feel of the Friend-me is aimed specifically at China's youth market, but we could see it drawing the attention of the European crowd as well – for example, wouldn't it make a nice replacement for the Leaf? "We call our solution ‘Distilled Da Qi,'" said Taiji Toyota, Vice President of Nissan Design China, commenting on the Friend-Me's styling. "'Da Qi is about casting an aura, about standing out, but at the same time going with the flow, fitting in. It's a question of balance, and we've worked to refine it right down to the essence. The result adds an entirely new and youthful dimension to the sedan category." 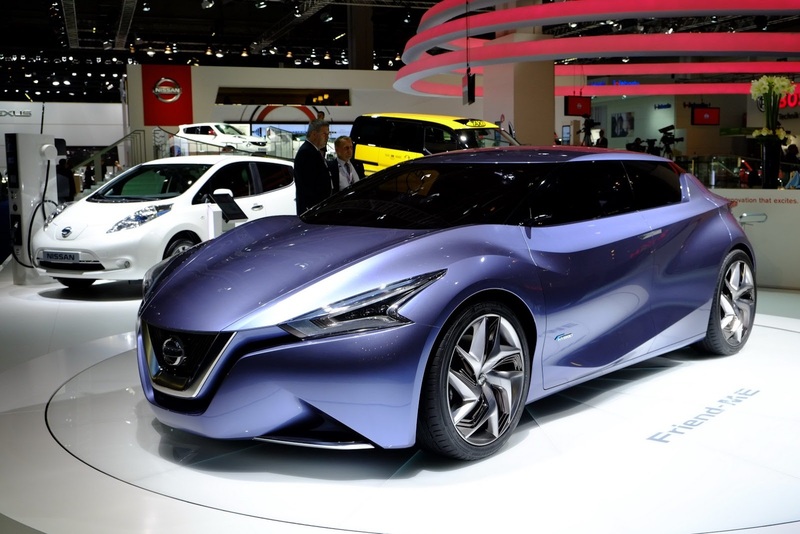 The concept is built on an unspecified existing Nissan platform architecture and uses an…unspecified PureDrive hybrid powertrain – the Japanese automaker wouldn't divulge any specific information for either.